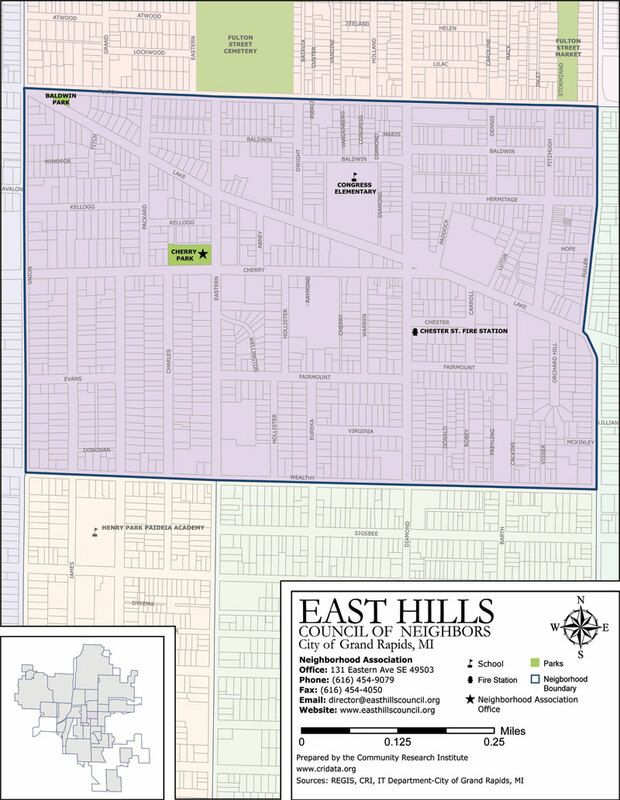 East Hills Neighborhood in Grand Rapids is Bounded by Fulton Street on the north, Fuller Avenue on the east, Wealthy Street on the south, and Union Avenue on the west. Features of East Hills include Baldwin Park, Cherry Park. Congress Elementary School. Cherry/Lake/Diamond Business District, East Fulton Business District, Wealthy Business District. East Hills has undergone a green revolution, from organic food and fair trade goods, to the East Hills Center’s green roof and rain garden. This is a current and exciting place to live.